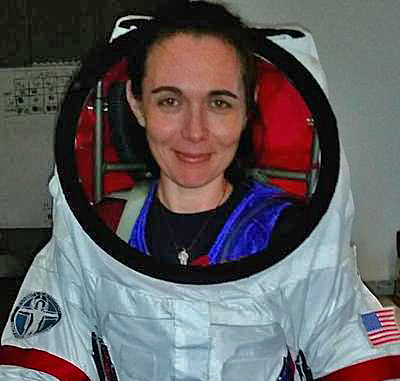 Dr Sheyna Gifford MD is Crew Medical and Safety Officer for NASA HISEAS Mission VI (Hawaii Space Exploration Analog Simulation), a yearlong analog astronaut Mars simulation in the isolated and remote high elevation region in Hawaii’s Mouna Loa volcano. She has been involved in research since 1997, in health care since 2003, in biotechnology since 2005, and in professional science and health communications since 2013. She has worked on research projects in Astrophysics, Neuroscience and Psychology at UC Berkeley, Massachusetts General Hospital, Harvard University, Brown University and the University of Missouri, Columbia. Sheyna holds a bachelors degrees in Neuroscience and English, a Masters Degree in Clinical Laboratory Science and Biotechnology, and a Doctor of Medicine. and currently earning a Masters of Healthcare Administration (MBA) so that she can help medicine balance the books. She is a Jackson fellow in Science and Health Communication at USC, so that she can improve science communication and education and a freelance contributor to NASA educational websites and an advocate of women’s education in STEAM fields. She is aiming for a career in health policy and health care administration, where excellent communication can lead to better patient outcomes, reduced cost, and better doctor and patient satisfaction.